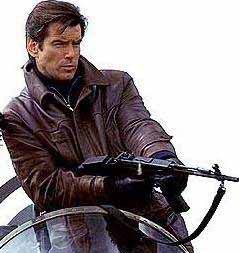 The Cold War Is Over, Or At Least That's What They'd Like Us To beleive, But Terrorism Still Runs High. 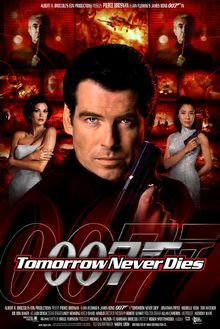 Only One Man Can Make Sure That Tomorrow Never Dies. The Worlds Largest Media Mogol, Elliot Carver, Has It In His Mind That The Only Good News, Is Bad News. And What Could Be The Worst News That Anyone Could Come Up With? WORLD WAR III. With The Help Of A Stealth Ship, Satellite Uplinks, And Headline Stories In His News Papers, Magazines, And TV News Reports, Carver Raises Tensions Between Communist China And Great Britain. 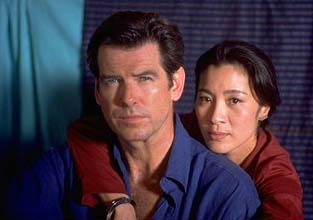 It's Up To Secret Service Agent James Bond, And His Newly Found Partner, Chinese Operative Wai Lin, To Find Out Carver Sinister Scheme, And Stop Him.